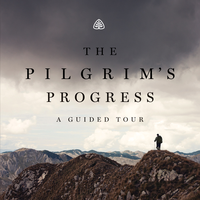 The Pilgrim’s Progress, written by John Bunyan over 300 years ago, is one of the most widely-circulated books ever to be published in the English language. In spite of its popularity in the past, many people today are not familiar with this masterpiece. Join respected pastor and theologian Dr. Derek Thomas as he takes readers along this allegorical journey, showing that Christians have as much to gain from this book today as they did hundreds of years ago.